Getting started in the music business need be no more expensive than buying a cheap electronic keyboard, or downloading the relevant software to your tablet or smartphone. However, for the true virtuoso performers, only the best will do. You wouldn’t see a world class concert pianist banging out tunes on a cheap keyboard, and for some of the most prized instruments, the prices paid are truly staggering. Even people who know nothing about violins will have heard the name of Stradivarius. This is the name given to the instruments made by the Italian Stradivari family, who produced violins in the early part of the 18th century in Cremona. 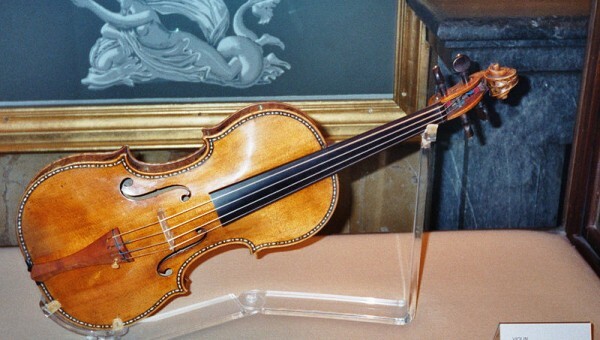 There are only thought to be around 500 Stradivarius violins in existence, and this rarity is in part what pushes up their price. In 2011, a Japanese charity sold its Stradivarius violin in order to raise funds for the tsunami appeal, and it sold for almost £10 million. Stradivarius violins rarely come onto the open market, so when they do, there is considerable publicity and buzz around the action. If Stradivarius is the type of violin that all players aspire to, then the Fender Telecaster holds the same position in the world of guitars. This electric guitar is the best-selling in the world and the sound it creates has revolutionized the world of popular music. A regular Fender is not terribly expensive compared with the Stradivarius, but the 1949 prototype model sold at auction for $375,000. The value was in the musical significance of the Fender Telecaster in terms of its musical legacy rather than its rarity. Guitars associated with famous musicians are similarly highly prized among collectors. Even a basic piano is not a cheap object, but there is not one maker prized over all others as there is with violins. When it comes to valuing pianos, the previous owner seems to be the most important factor. The most expensive piano ever sold at auction was a fairly modest Steinway piano which had previously belonged to John Lennon, and upon which he had written some of his most iconic songs. When it came onto the market in 2000 it sparked off a bidding war, which was eventually won by George Michael with a bid of £1.5 million. The value of the instrument was purely because of its association with Lennon. Brass instruments are expensive to buy, and many children are put off learning the trumpet, tuba or flute because of the price to buy a new instrument. Antique brass instruments are not as prized as guitars or even pianos, but again, craftsmanship and reputation of the maker can help boost auction prices. In 1939 a flute from the well-known maker of Powell was exhibited at the World Exhibition, after being engraved and decorated by the maker. It passed through the hands of several famous flutists, and eventually came onto the open market in the mid 1980s. When auctioned, it reached the price of $187,000 which remains the record price paid for a brass instrument. Peterborough Music offer a great range of musical instruments including the iconic Fender telecaster – great for beginners and experts alike.